When it comes to literature, young adult books are practically synonymous with coming of age. Novels in this category are about those life experiences that help us define ourselves. But this journey is not limited to young people. We are always in the process of self-definition and we are always growing. 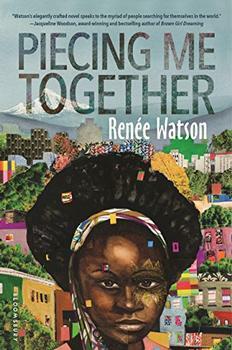 From Conrad Wesslehoef's Dirt Bikes, Drones and Other Ways to Fly, about one boy's experience of beginning to free himself from grief, to Renee Watson's Piecing Me Together, a look at the perseverance it takes to make it authentically in the world, these six young adult novels are ideal springboards for book clubs of all ages to jump off of into meaningful dialogue. Dirt Bikes, Drones and Other Ways to Fly – an exploration of personal grief and the universal need for love and freedom – does exactly that and is sure to inspire a lively conversation. Cameron Post's parents die in a car crash on the exact day she kisses a girl for the first time; as a result, all of the accompanying emotions – grief, guilt, desire – become inexplicably entwined. Cam moves in with her conservative aunt in conservative Montana and becomes expert at blending in and not making waves. Until cowgirl Coley moves to town and she can't (blend in) and does (make waves.) A universal story about both finding out who you are and having the courage to embrace your identity, any book club will find much to connect with and discuss; and then you can watch the movie, which came out July 18, 2018. Sal was content and clear about his life for as long as he could remember: especially his relationships with his adoptive gay father, his best friend Samantha and his grandmother. But all of a sudden, he feels upside down. He can't recognize his life, nor can he even recognize himself. 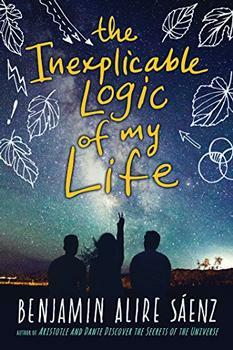 A novel with humor and a huge heart, The Inexplicable Logic of My Life will spark discussion about the universal journey of finding where you belong. Emily is someone who tries to always do the right thing, until one night when she sees her classmate Belinda being attacked and she does the worst thing of all – nothing. Emily and Lucas, another classmate who was also there that night, are required to do community service as a result of their unwillingness to intervene, and through this work together they begin to learn what it really means to want to do what is right. A Step Toward Falling is a perfect read to launch deep discussion. Griffin's ex-boyfriend Theo dies in a drowning accident and the only person who understands his grief is Theo's current boyfriend Jackson. The two devastated boys open up to each other but Griffin can't stop making destructive and compulsive choices. Book clubs will find much to explore as he finds the courage to face his past, especially a secret that he's kept hidden until now. Mirroring real life's weaving of seemingly disparate parts, Piecing Me Together tackles the social politics of rich and poor, black and white, and traditional and non-traditional education. Through the eyes and experiences of Jade, we explore one teen girl's perseverance as she tries to make it in a world that seems to be doing its best to keep her down. 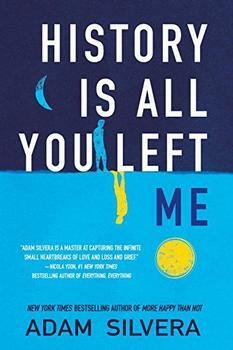 This is a powerful and timely story that would lead to a great discussion whether in classroom or living room.